The Ghana Trade Unions Congress (GTUC) on Friday said privatization of Tema Oil Refinery (TOR) will not be in the interest of majority of Ghanaians therefore the labour front will resist any attempt to privatize it. TUC questioned why Ghana should stop domestic refining and import refined products now that the country is producing oil. “As it is, TOR is suffering the fate that has befallen all important state assets – run it down in preparation for privatization,” TUC stated in a statement signed by Mr Kofi Asamoah, Secretary General, to the Ghana News Agency in Accra. TUC described the attempt to denigrate TOR as a manifestation of corruption that has engulfed the petroleum industry and that there are many players in the petroleum industry who are profiting at the expense of ordinary Ghanaians. The statement said the Petroleum Products Price Build-Up contains as many as six different margins designed to benefit a few owners of marketing companies and other players in the industry. 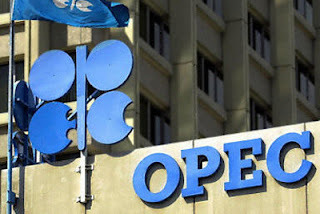 The TUC alleged that the lack of transparency in the petroleum industry is deliberately designed to facilitate corrupt practices of the few people in society who are well connected. petroleum industry finds itself,” the TUC stated. The Tema Oil Refinery (TOR) is set to resume operations from the first week of March. This follows the completion of repair works on its refinery plant, which broke down in July last year due to some challenges with power supply. The state refinery last month secured about half of a 67-million-dollar facility from government as part of its Plant Sustainability and Profit Enhancement programme. 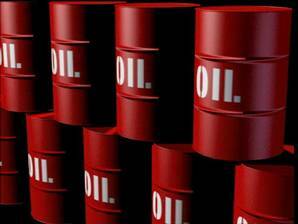 TOR is expected to start refining about thirty thousand barrels of crude oil a day when it starts operations. Managing Director, Ato Ampia explains to Joy Business measures being instituted to ensure that the refinery remains viable after the resumption. He added that TOR coming back will greatly improve supply of fuel on the market and help the country make some savings on crude oil imports. The Tema Oil Refinery debt currently stands at 350 million dollars after government managed to clear about almost a billion Ghana cedis over the past four years. 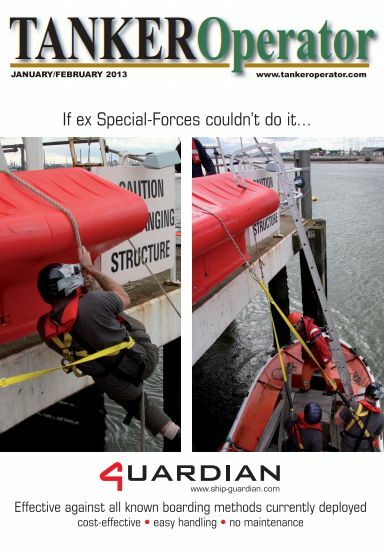 It currently requires about 650 million dollars for their day to day operations going forward. TOR is in negotiations with a bank for a trade finance facility which will ensure sustainable procurement of crude oil. This Facility is expected to be available by the end of March 2013. The refinery has not been capitalized since the Government of Ghana became sole Shareholder in 1977. In addition, financial institutions saw TOR as high risk and as such were not interested in transacting business or in establishing Letters of Credit with TOR due to the debt on its balance sheet. The fluctuating cost of crude oil also put pressure on the profit margin of refineries worldwide, including TOR. Could China spark a mini-revival? The deadline for the early bird discount offer has passed, but we still have one final discount offer for you to attend the StocExpo conference. With the growing importance of social media in business today, we would like to reward members of our social media groups by offering a special 10% discount to attend the StocExpo conference. Not a member of our social media groups? Join now so you can avail of this discount too! Simply click on the images above to go to our groups and sign-up! We have a great line-up of key industry experts at the conference, who will be discussing best practice solutions, opportunities, challenges and business strategies to maximise efficiency within the tank storage sector. Don't miss out on this valuable and insightful opportunity - book your place now before it's too late! Take a look at the full conference programme here. What about attending the free-to-attend exhibition taking place alongside the conference? With close to 200 of the industry's leading companies showcasing what is new and innovative in the market, a visit to the StocExpo exhibition would be worth your while. Network with your business peers and find solutions to make your life easier - REGISTER NOW! The Association of Oil Marketing Companies (AOMCs), today named 51 accredited oil marketing companies in good standing for business in 2013. The companies are: Agapet Oil Company Limited, Naagamni Oil Company Limited, Allied Oil Company Limited, Obiba J.K. Company Limited, Anasset Company Limited (Gas), Oando Ghana Limited, Ap Oil & Gas Company Limited, Pacific Oil Company Limited and Bano Oil Company Limited. Others are: Petrobay Oil Company Limited, Benab Oil Company Limited, Quantum Petroleum Company Limited, Capstone Oil Company Limited, Strategic Energies, Crown Petroleum Ghana Limited, So Energy Ghana Limited, Champion Oil Company Limited and Sonnidom Energy Limited. Dukes Petroleum Company Limited, Superior Oil Company Limited, Excel Oil Company Limited, Shell Ghana Limited, Ev Oil Company Limited, Sky Petroleum Company Limited, Engen Ghana Limited, Star Oil Company Limited, and Fraga Oil Company Limited, were also named. The rest are: Trinity Oil Company Limited (Gas), Frimps Oil Company Limited, Top Oil Company Limited, Galaxy Oil Company Limited, Total Petroleum Company Limited, Grace Petroleum Oil Marketing Company, Trade Cross Limited (Gas), Ghana Oil Company Limited and Ubi Petroleum Ghana Limited. Glory Oil Company Limited, Unity Oil Company Limited, Glasark Oil Company Limited, Union Oil Company Limited, Havilah Oil Company Limited, Universal Oil Company Limited, and Jeokona Company Limited. Virgin Petroleum Company Limited (Gas), Kaysens Oil Marketing Company Limited (Gas), Venus Oil Company Limited, Lucky Oil Company Limited, Modex Oil Company Limited, Manabah Gas Company Limited, Merchant Oil Ghana Limited, and Nasona Oil Company Limited. A document obtained from AOMC by Ghana News Agency in Accra today, noted that although it was not a requirement for all network marketing companies to become members of the Association, members stood to benefit from corporate recognition. The Association called on oil marketing companies who are yet to register with the Association to come on board, for "in unity lies strength". It also tasked its members to strictly comply with all laws including anti-trust legislation of Ghana whilst avoiding engagement in product dumping and adulteration practices. In Warri, Nigeria, oil barons bunker themselves off from the desperate poor, who are left without a steady income or basic services. Comparing the Divide: The oil that lies underneath Big Spring, Texas, and Warri, Nigeria, creates economic distance and physical barriers between workers who extract the crude and their privileged bosses. Big Spring and Nigeria also share similar Gini coefficients — the standard measure of income inequality — of .431 (Big Spring) and .437 (Nigeria). WARRI, Nigeria — On the outskirts of Warri, the brooding commercial capital of Nigeria’s oil-rich Delta State, the streets leading into brand new multi-million dollar developments reek of crude oil. In a casual display of excess, gallons of the delta’s “light and sweet” crude — possibly the most valuable commodity on the planet — are dumped daily into the open gutters to suffocate the mosquitoes breeding in the stagnant water. Starting in 2009, when the government enacted an amnesty program that saw several thousand Delta fighters exchange weapons for cash, followed by the election of President Goodluck Jonathan, a native of the Niger Delta, there has been an overall effort to redirect oil wealth back to the communities that host Africa’s largest oil industry. Since then, a small, emerging segment of the population — primarily politicians and former militants with access to government contracts and revenues — has grown spectacularly wealthy and powerful, while most Nigerians remain poor and beholden to the generosity of the elite. In communities like Ubeji, a neighborhood in Warri, wealth from oil rents fuels the construction of mansions at a furious pace, bypassing the building of roads and other public infrastructure, like water and electricity. As a result, there is no urban plan. Bumpy dirt paths weave through a random scattering of lots featuring custom metal gates, electric security fences, private water towers, industrial-sized generators and paved driveways. Black foreign luxury cars with dark tinted windows slink through the jungle maze and disappear into fortresses. Every morning, throngs of people gather outside the steel gates of these homes to wait for a possible meeting with the community’s “chairmen,” oil barons who sit atop vast hierarchies upon which thousands of people depend, both formally and informally, for a lifeline. Their “boys” man the entrances, dressed in high fashion purchased on recent trips to London, Paris and New York City. Many of the new oil rich here own second homes in Texas, close to expat American oil workers who work on their land. Along with increasing the numbers of mansions, the rise of wealth has increased investments in malls, movie theaters, hotels and mega churches throughout oil boomtowns such as Warri and nearby Port Harcourt. Luxury hotels such as the Protea Ekpan in Warri cater to the Nigerian and expat oil and gas elite and to Nigerian politicians with rooms priced between $400-600 per night. A man waits at the bar of the Protea Ekpan Hotel of Warri. Luxury hotels such as the Protea Ekpan cater to the Nigerian and expat oil and gas elite and to Nigerian politicians, with rooms priced between $400-600 per night. In the evenings, politicians in flowing gowns file into the marble lobby flanked with armed military escorts, rifles double- and triple-clipped with duct tape – protection against the constant threat of kidnapping and armed robbery, the Delta’s other booming commercial industries. In the hotel’s gourmet restaurant, oil company workers hold muffled conversations with security consultants over champagne and fresh fruit. And while the interior atmosphere matches that of any five-star hotel globally, its back view abuts a smoky, grey expanse of rusting refineries and constantly burning gas flares. Just outside the gates — along a road lined by the head offices for Chevron, Texaco, Shell and the residential camps of their employees — homeless vagrants live in smoldering refuse dumps between the express lanes. Polio victims crawl on their hands and knees begging for stray bills from cars leaving the garrisoned compounds. he source of this wealth is not far away. The intricate waterways surrounding Warri contain some of the world’s largest deposits of light sweet crude — easily refined and therefore highly sought on the global market. On Warri’s swampy fringes, where new developments sit atop freshly cleared mangroves and dark mud soaked with crude oil, massive tank firms store petroleum products shipped in from the nearby creeks. The firms are owned by the new elites based in the city. Surrounding the tank firms, seagoing vessels line the waterways, waiting to load millions of barrels of raw crude oil before setting forth across the Atlantic. Hundreds of rusty oil tanker trucks line the roads to transport diesel, petrol and kerosene to filling stations across the nation. 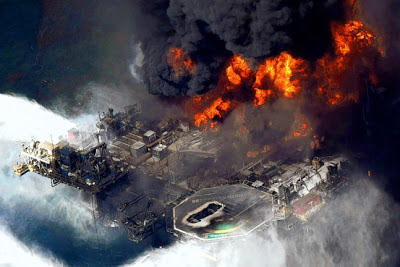 Despite being Africa’s largest oil producing region and the fifth largest supplier of crude oil to the United States, fuel for daily use is among Nigeria’s scarcest and most expensive commodities. Due to constant power outages, Nigerians who can afford them rely on privately-owned generators for electricity. The poor live in darkness. Oil provides roughly 87 percent of government revenues, 90 percent of foreign exchange earnings, 96 percent of export revenues, and almost half of Gross Domestic Product (GDP). However, despite the fact that the Nigerian exchequer takes in more than $50 billion from oil annually, more than 90 percent of Nigerians live on less than $2 a day and 70 percent live on less than $1 a day. In the Niger Delta, youth unemployment is at 40 percent. Hovering at the fringes of the oil industry are those cut out from the extreme wealth that flows to the politicians and those with connections to them. In the evenings, tanker drivers park their vehicles in line at the tank firms and bathe in nearby ponds coated with the sheen of diesel fuel. Weaving in and out of the waiting trucks are school-age children, hawking goods like satchel water and spiced meat to help support their families and themselves. Godwin, a 15-year-old boy who lives with his uncle in a nearby village, works there every day after school. He sells meat pies from 3 p.m. until everything is sold, usually around 10 p.m., leaving little time for homework. His uncle forces him to work in order to pay for his school fees. In Nigeria, where unregulated corruption has concentrated extreme oil wealth into the hands of a small group of elites, while systematically denying most of the population access to even the most basic amenities, a great many rely on individuals to fill the safety net where the state has failed. Those without connections to the wealth flowing through the center live a precarious and unrelenting day-to-day struggle for survival. Tucked away throughout back corners of Warri’s new developments are hordes of migrant laborers who have set up nomadic camps in the shells of the half-finished concrete mansions. Most of these young men migrated from Niger within the past two years, fleeing drought. Every morning, hordes of migrant laborers from Niger gather at this bus stop near Ubeji and wait for someone to contract them for the day. Every morning, they gather at nearby bus stops or construction sites for builders to contract them. Someone walking into these areas can be immediately surrounded by hundreds of desperate faces selling their labor for less than $10 a day. In the evening, after work, they quietly pack away to the unfinished buildings; setting up outdoor campfires where they boil rice in carefully rationed communal vats. A twenty-room unfinished mansion can house up to 100 workers for the night. They sleep scattered on mats, exposed night after night to the ferocious onslaught of the delta’s mosquitoes. Illegal and looked down upon by Nigerians, who call them “boko,” they are the people helping to build the labor-intensive mansions, doing the most menial jobs of clearing the jungle brush, digging holes in the sandy dirt, laying stone, dredging the swamps. Abdul arrived in Warri about eight months ago, traveling by foot over the porous border in northern Nigeria and then taking the 20-hour bus ride down to the delta from Kano. For the past month, he has been working seven days a week, clearing out a plot of land owned by one of the most powerful businessmen and community leaders in the Niger Delta. With a rented pick axe, shovel and wheelbarrow, Abdul and four others dig away at a strip of overgrown earth next to one of Shell’s high-pressure pipelines—which cuts through the community and is used by locals to burn their refuse and by nomadic herders from Niger to graze their cattle. They are making way for the expansion of the estate — a dozen acre fortress complete with a pool, a separate entertainment center, 15 cars, a driving range, and a private zoo of ostriches, peacocks, and gazelles. This latest addition will serve to house a formidable security detail manning the gilded, 12-foot high entrance to the grounds, a quarter of a mile from the current gate. Nevertheless, it is where people will wait, farther down the road, for a chance to see the “chairman” — and possibly find a lifeline. The Chief Executive of the National Petroleum Authority (NPA), Alex Mould, has dismissed suggestions that government should build a second refinery to process crude oil locally. He said the business of building a refinery should be left to the private sector. After the announcement of new prices for petroleum products Sunday, there have been suggestions that government should consider building a refinery that is larger than the Tema Oil Refinery, to process crude oil. That is believed to significantly reduce the price of petroleum products in the country. TOR has not seen a major investment in its operations in the last 15 years, and currently needs capital injection of about $200 million to enable it operate at full capacity. But speaking on Joy FM's Super Morning Show Monday, February 18, 2013, Mr. Alex Mould said “it does not make economic sense” for government to invest in building refineries. “If you’re building a refinery you have to look at a refinery of huge economies of scale and you have to look at the West African region…Real question is why should government be involved in the building of a refinery; and why don’t the private sector do that,” Mr. Mould queried. “Government should not be in the business of refining,” he emphasised. The NPA Boss suggested that government should rather create the environment for the private sector to invest in refining to generate taxable incomes from which the state can make some money for social investment. 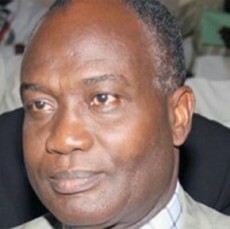 Government on Saturday announced a 15 to 20 per cent increase in fuel prices effective Sunday, February 17, 2013 based on the crude oil price of $116 per barrel and an exchange rate of GHS1.89/USD. "The maximum indicative price for a litre of petrol will be GHS 2.0496 (GHS9.22 per gallon) and the maximum indicative prices for a litre of diesel will be GHS2.0683 will (GHS9.31 per gallon)" the statement said. Kerosene is also up by 15 per cent and will be selling at 104. 65 pesewas per litre. LPG is also up by 50 per cent and will be selling at 194.85 per litre or GHS24.36 per a 12.5 kg cylinder. According to the release, the government has maintained some subsidy on the prices of petroleum products. 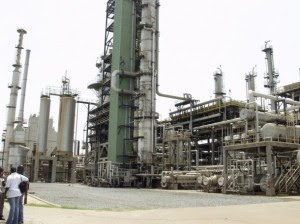 The Tema Oil Refinery (TOR) is feared to have lost more than $63 million since July 2012 as a result of its inability to process and refine crude because of broken equipment. Ghana’s only state-run refinery has been operationally idle since July last year due to the breakdown of critical equipment. In August last year, Reuters reported that both the main crude distillation unit and the residual fuel catalytic converter of the 45,000 barrels-per-day refinery plant had been shut down. Reuters reported that a close source within TOR said: “The changers (a component of the plant) were blocked and needed to be replaced but lack of funds has delayed the work”, adding that some boilers had worn-out. The faulty equipment were expected to have been replaced last year. TOR has been plagued by repeated shut downs over the past few years, often due to unavailable crude after its main lender Ghana Commercial Bank (GCB) cut off support due to unpaid debts. In May last year, TOR’s Managing Director Ato Ampiah announced that management had secured some $900 million in financing from banks, BNP Paribas and Standard Chartered to help the plant settle its debt backlog and purchase crude supplies. Even though the government defrayed the state Bank’s debt a year earlier, TOR still remained indebted to some bulk oil suppliers. Kwesi Pratt Jr told Metro TV’s Good Morning Ghana Newspaper review programme on Wednesday February 13 that: “TOR has not produced a teaspoon of crude oil since July, as a result the Tema Oil Refinery is losing 300,000 dollars a day”, he charged adding: “Calculate and see how much we are losing”. Kenya is transforming its Isiolo Airport with a Sh900 million (€7.7 million) upgrade. PGE makes move to commercialise renewable jet fuelPrimus Green Energy (PGE), a Hillsborough, New Jersey-based alternative fuel company, has welcomed John Doyle as its chief infrastructure office (CIO). New initiative to support 2nd gen biofuelsA new initiative has been launched to support the development of second generation biofuels in Europe. Jet fuel leaks after truck collides with plane wingHundreds of gallons of jet fuel spilled onto a runway at Salt Lake City Airport in Utah when a truck collided with a cargo plane. Plane crashes during refuelA pilot was forced to carry out a crash landing when his aircraft ran into difficulties during refuelling. Jet fuel spills in Russia's AmurJet fuel leaked and polluted a 400m2 area in Russia on 22 January after a cargo train derailed. ReadiJet alternative aviation fuel slashes emissions Results from the world's first 100% biofuel powered flight have been released by the National Research Council of Canada (NRC). Jet fuel leaks from taxiing aircraft A jet due to fly nearly 200 people from Boston, US to Tokyo in Japan on 8 January began to leak jet fuel as it taxied. Zao Shell & Aerofuels extends operations to Pulkovo St...Zao Shell & Aerofuels has extended its Russian aviation refuelling network to include Pulkovo St Petersburg airport. Tesoro to turn refinery into a storage terminal Petroleum refiner and marketer Tesoro is to convert its Kapolei refinery in Hawaii into an import, storage and distribution terminal. SOCAR produces 580,000 tonnes of jet fuel this year The State Oil Company of Azerbaijan (SOCAR) produced 579,000 tonnes of jet fuel between January and November 2012. Four people were killed and another six injured in Burma when an oil tanker exploded on 4 February. Midstream energy company Blueknight Energy Partners (BKEP) has signed an agreement to acquire a 30% stake in the crude oil Pecos River Pipeline. Refined products pipeline owner Magellan Midstream Partners is to build a pipeline to transport crude oil from its terminal in Galena Park, Texas. Stunning reports are emerging that Ghana may have dished out 1.5 tons of gold, worth almost $80 million, to the People's Republic of Iran without proper documentation. On January 19, Mehr News Agency (MNA), a private Iranian news agency, reported that Turkey had released a cargo plane full of Gold from Ghana "carrying Ghana's commitment to Iran in gold." On January 2, 2013, Turkish authorities seized the stash of gold in a Turkish Airlines cargo plane bound for Dubai en route to Istanbul's Ataturk Airport in Turkey. The Turkish authorities claim the gold lacked the necessary papers needed before it could be transported. It was, however, realised that the information given to the authorities was not entirely true because nobody knew where the cargo originated from or where its destination was, even though the gold onboard the plane bore the Ghanaian seal. Both Ghanaian authorities and executives of the Turkish Airlines have been tight-lipped about the circumstances surrounding the strange gold haul. After the seizure in Turkey, Iranian Foreign Minister Dr. Ali Akbar Salehi came to Ghana for a closed-door meeting meet President Mahama on January 8, 2013. The issue of the gold may have been discussed. Just after that, President Mahama's next official assignment outside Africa was to Turkey, ostensibly to plead for the release of the gold haul on which the government had remained silent. An earlier enquiry at the Turkish Embassy did not yield further information. In early January, Turkish Ambassador Aydin Nurham could not offer answer but promised that his outfit would investigate the issue. Reports said that Turkish authorities fined the plane $1,910 upon stopping at Ataturk Airport on grounds of missing documents. Anatolia News Agency, Turkey’s official news agency, announced that ULS, the cargo owner, would pay $67 for the lack of proper documentation and $1910 for stopping at Ataturk Airport. The cargo was bound for Iran, where it was to deliver the gold, stopping first at Dubai Airport. It is believed that US- and EU-backed sanctions against the Iranian banking sector have limited countries’ ability to fulfill their monetary commitments to Iran through bank payments, leading them to barter gold for Iranian oil and gas instead. The Danquah Institute (DI), a pro-New Patriotic Party (NPP) think tank, believes that there is something fishy about the whole transaction since it was carried out behind the backs of Ghanaians. "The 1.5 tons of gold, worth some $80 million, is said to be Ghana's financial commitments to Iran" over a transaction whose details are not known to the public. “This seemingly curious transaction took place over the election period and at the time of the transition. What is also curious is the choice of the President to travel to Turkey around the time of this unspoken crisis and yet this issue has not featured in any official communication about the presidential trip," the DI said in a statement issued on Sunday, January 27, 2012. "The question which arises, therefore, is that why would an official transaction involving $80 million worth of gold between the government of the Republic of Ghana and the government of the Islamic Republic of Iran lack the proper documentation? If indeed the gold was to settle Ghana's ‘financial commitments"’to Iran, why would it be missing some crucial documentation necessitating its seizure at the Turkish airport?" the DI questioned. According to DI, no known arrangement between Ghana and Iran require that the country's financial commitments to Iran be paid in gold. "We are aware of the use of Ghana's cocoa as collateral for the construction of the Bui hydroelectric dam. We are also well aware of the use of Ghana's oil as collateral for the $3billion loan from the China Development Bank," explained the DI. The Danquah Institute wants President Mahama to explain to Ghanaians why the country's gold was used to make payments to Iran and why the plane carrying the gold was seized in Turkey for lack of proper documentation. The government has so far refused to answer any questions relating to this matter since the plane was seized on January 2, 2013, "and the silence from government on a transaction said to involve some $80million is deafening. We at DI are demanding full disclosure of this transaction from government for the benefit of the people of Ghana and in the interest of good governance," charged the institue. A known allegation against the Islamic Republic of Iran is that the country evades US sanctions by engaging in a barter-trade system where countries with gold, for instance, purchase crude oil from Iran and pay gold in return. However, it is unclear if Ghana has purchased crude from Iran given that the Tema Oil Refinery (TOR) has not been operational for several months. According to the DI, from June to November 2012 Iran evaded US sanctions by importing Turkish gold to pay for billions of dollars worth of energy sales to Turkey. "Ghana has been an oil-producing country since 2011, are Ghanaians aware that we barter with gold with the Islamic Republic of Iran, or any other government for that matter? What is Iran giving Ghana which requires our financial commitments to her be made in gold? Is Ghana's Parliament aware of such a transaction?" the DI asked.